Chewy's Urban Exploration - Whittingham Mental Asylum. Whittingham Hospital, whose grounds adjoin the village of Goosnargh, grew to be the largest mental hospital in the country. brass band, ballroom and butchers. In 1866, the three Lancashire lunatic asylums at Prestwich, Rainhill and Lancaster were deemed to be full. 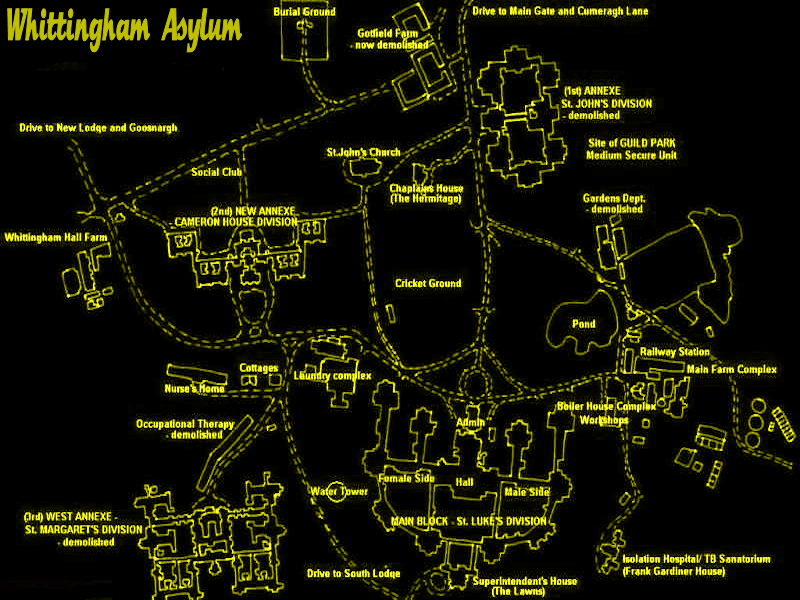 The building of Whittingham Asylum began in 1869, originally to accommodate 1000 patients. It was built from brick made from clay dug on site from a pit which later became a fish pond. The Fourth County Lunatic Asylum at Whittingham was built in 1869. 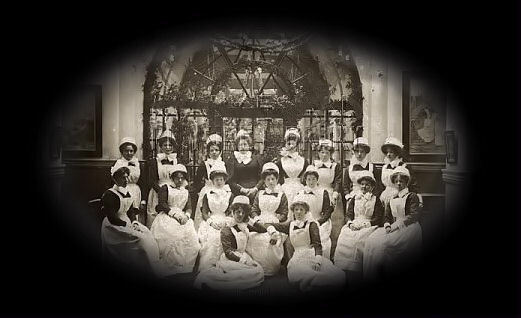 The hospital officially opened on 1 April 1893. The large site included an Anglican church, a Catholic chapel, a recreation hall (also used as a ballroom) and several farms. Cameron House, and St Margaret's (the New or West Annex - 1912). The Whittingham Hospital Railway was a two-mile private branch to Grimsargh, built in 1887, to provide coal and other goods. It also provided free transport for staff and passengers. It eventually closed on the 30th June, 1957. In the early years there was a brewery on the site. At the end of the first World War, a part of the hospital (later known as "St Margaret’s Division") was used as a military hospital. It was again used for this purpose during the second World War. (shortly thereafter, the staff at Whittingham produced the first EEG machine from war surplus material). By 1923, the hospital was known as "Whittingham Mental Hospital". By 1939, the number of patients was 3533, with a staff of 548, making it the largest mental hospital in the country. By 1948, it had incorporated Ribchester Hospital, and became known as "Whittingham Hospital". 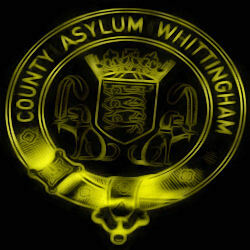 The Mental Health Act of 1960 deemed large institutions like Whittingham to be out of favour. Allegations of cruelty to patients led to a public inquiry. During the 1970s and 1980s, new drugs and therapies were introduced. Long-stay patients were returned to the community or dispersed to smaller units around Preston. The hospital eventually closed in 1995. The site subsequently became known as "Guild Park". In 1999, Guild Lodge was opened on the edge of Guild Park, supplying secure mental services.